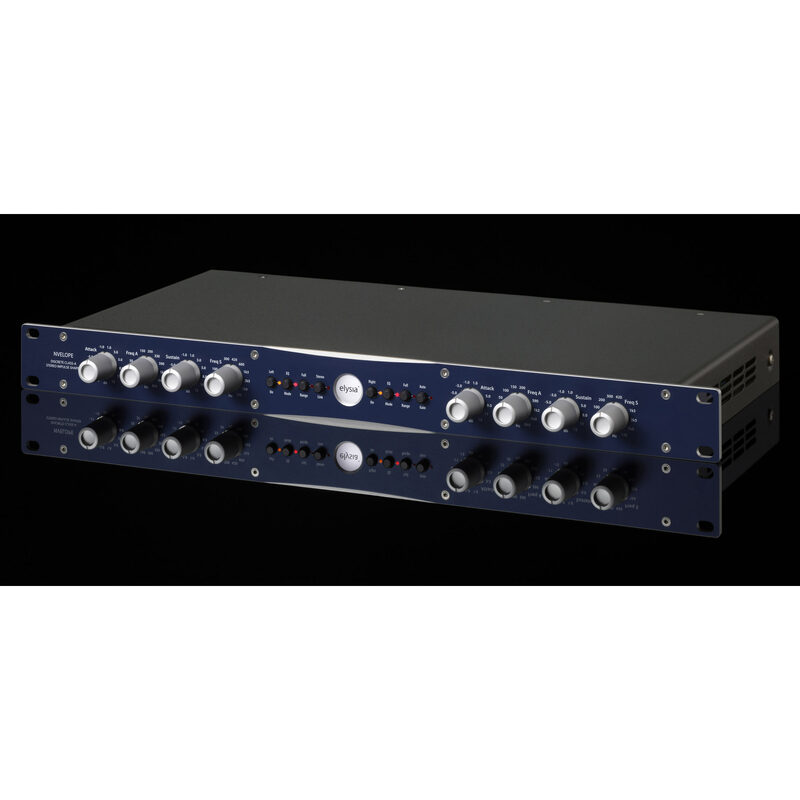 The nvelope is a powerful audio processor capable of making subtle or drastic changes to a sound by providing control over its attack and sustain characteristics. The nvelope is a powerful audio processor capable of making subtle or drastic changes to a sound by providing control over its attack and sustain characteristics. This is extremely useful for reshaping all sorts of individual tones, and is a wonderful tool in any mixing situation as well. 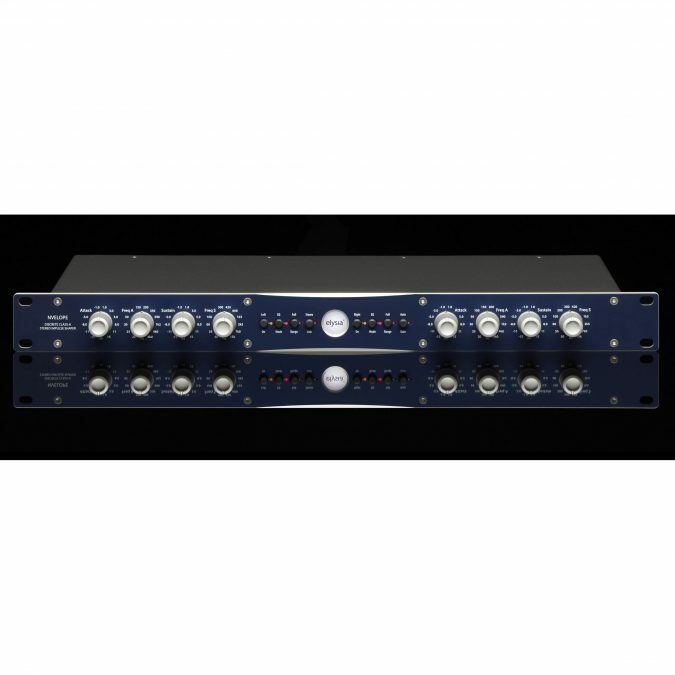 The nvelope operates independently of the specific level of a signal, and (unlike with compressors) you do not have to spend a lot of time trying to balance a set of complex controls to quickly get the results you seek. The nvelope is a great tool for shaping individual signals, but it can be an indispensable resource in mixing situations as well, as it effortlessly helps you to bring a sound to the front with more attack and less sustain… or blends it gently into the background by reducing its attack and increasing its sustain. 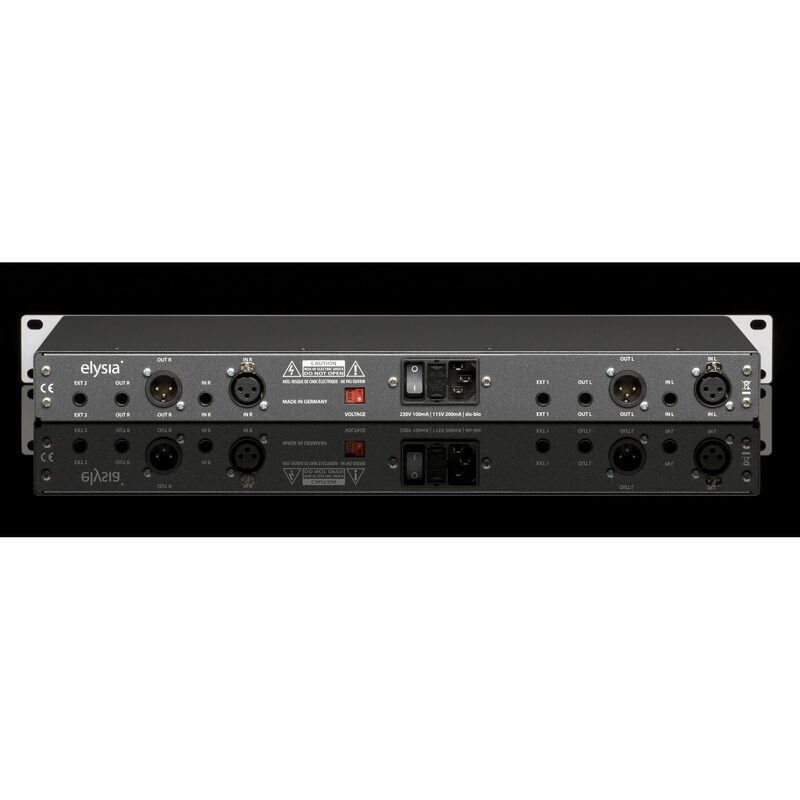 We’re sure you’ll be happy to know the nvelope offers true dual mono or linked stereo operation whether you are using it in Full Range, Dual Band or EQ mode. Or, you can connect the output of channel L to the input of channel R, and then process the frequency response with the EQ first, followed by some nice Dual Band impulse shaping… As you can imagine, there are lots of possible combinations! Fast & efficient envelope shaping. Two different processors at the same time. Flexible channel use and combination. Eliminates level peaks and distortion. High grade components, solid aluminum knobs. 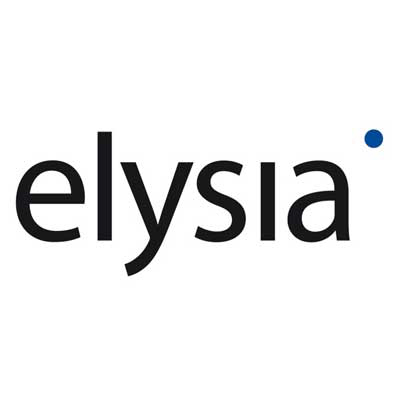 As a true elysia specialty, the audio path of the nvelope is completely based on discrete circuitry and does not use any integrated circuits at all. To explain the advantages of discrete circuitry we’d like to present a comparison that might seem a little odd at first: audio technology vs. cooking! If somebody uses instant meals exclusively, he will have to accept whatever comes out of the box. A creative cook, however, focuses on his own special recipes and ingredients. In this respect, integrated circuits (ICs) are pretty similar to packet soups: they are cheap, mainstream and they simply do not match haute cuisine. 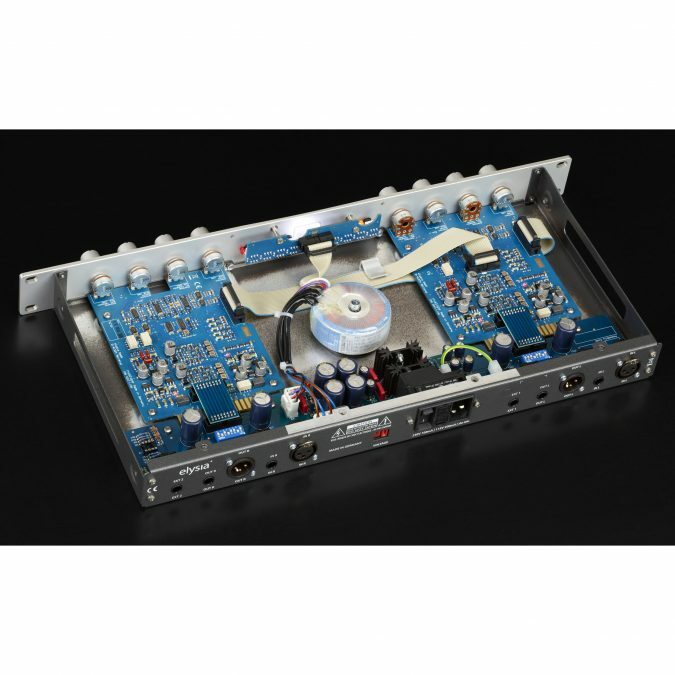 So if you want to design an analog audio device 100 % according to your own demands and ideas without any compromise, there will be no way around a discrete design. The nvelope follows this philosophy consequently. Its complete audio path is a new design which is based on the exclusive use of high grade discrete components. A truly unique recipe! In addition, our signal shaper operates in permanent class-A mode. This means that the transistors are always conductive, resulting in the absence of crossover distortion and providing a pristine sonic base: the general sound character is always wide, open and punchy. In Full Range mode, the attack and sustain intensity of a signal can be raised or reduced fast and efficiently with just two controllers. Full Range mode is especially fast and easy to use, as all you need to do is dial in more or less attack and sustain by turning their specific controllers to the left (reduction) or to the right (increase). 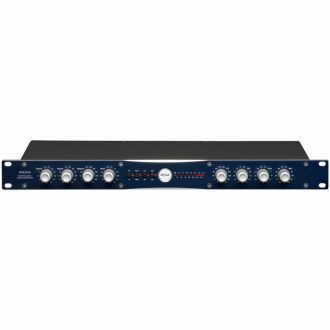 Similar to a compressor and unlike in Dual Band mode, you can use the Freq A controller to reduce the influence of low frequencies on the attack processing (higher frequency = less bass influence). This mode functions basically the same as Full Range, but it provides more tweakability by assigning the attack and sustain controls to individual frequency selectors. The unique Dual Band mode of the nvelope takes you to the next level of impulse shaping. 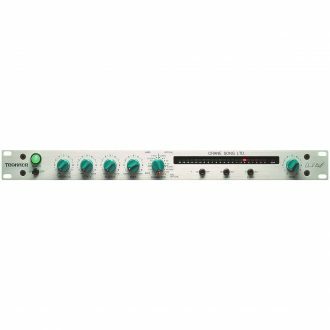 The attack and sustain parameters become much more flexible by selectively processing a certain frequency range chosen by the user. 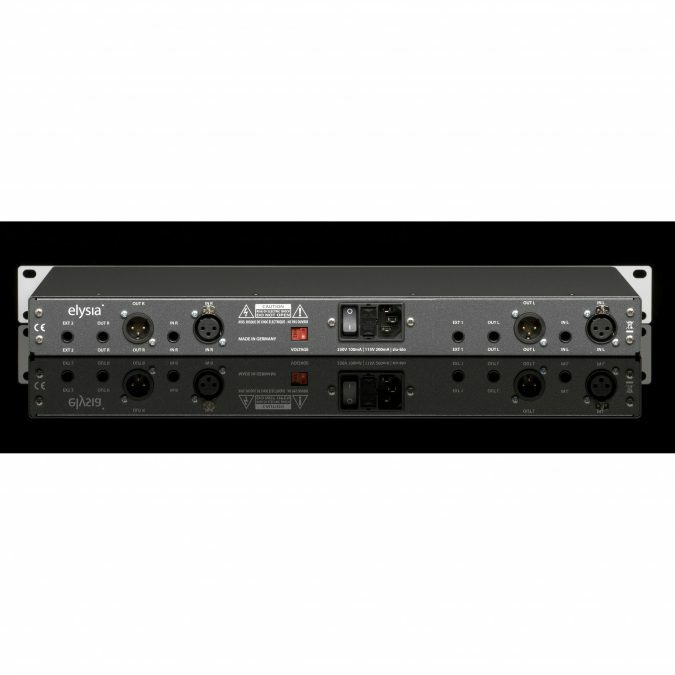 The Freq A controller now sets the start frequency for attack processing, while the Freq S controller determines the end frequency for sustain processing. The function of the Attack and Sustain controllers remains the same as in Full Range mode. So it is pretty likely you’ll find yourself using the Dual Band mode in any situation where you would like to adapt the way the nvelope processes more individually and on material which tends to produce unwanted artifacts in Full Range mode. 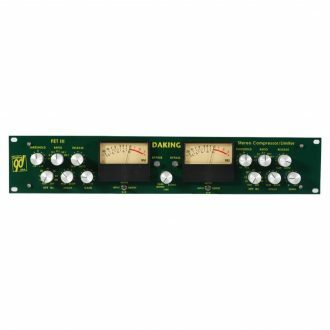 Generally speaking, Dual Band mode gives you more distinct processing options and the possibility to even cope with complex material like a summing bus. 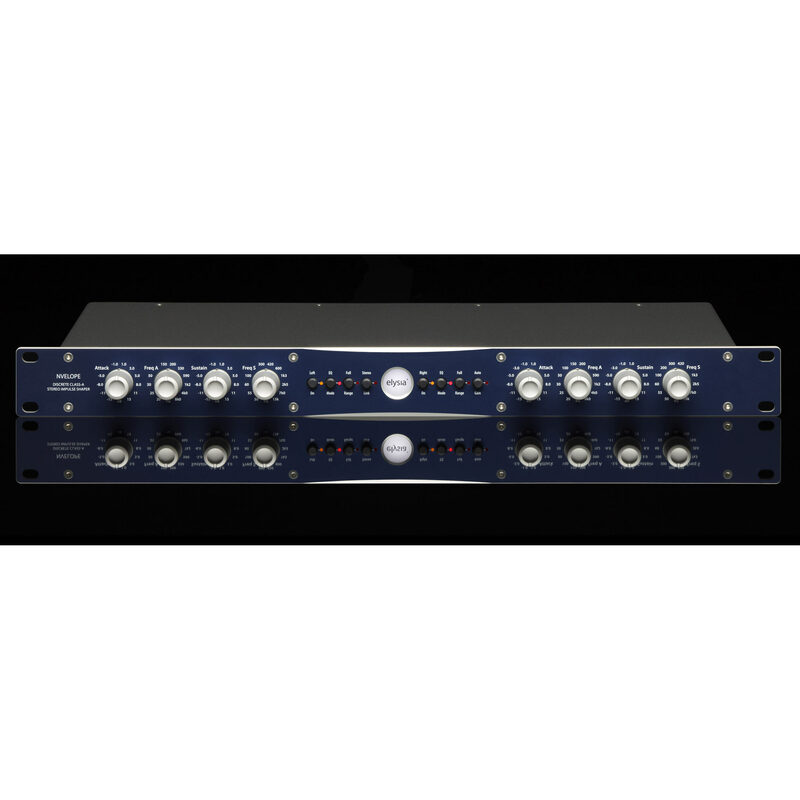 The nvelope can mutate into a two band equalizer with a high/low shelf characteristic, and even here the channel link for processing stereo material can be activated. A very nice side effect of the topology of the nvelope is that it can also be used as a shelving filter. This is achieved by temporarily deactivating its dynamics sections while keeping the filter stages active. Freq A now sets the frequency of the high shelf filter, while Attack determines the amount of cut (turn left) or boost (turn right) in this band. 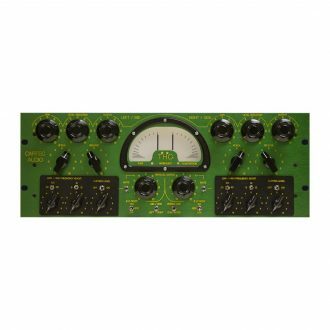 Similarly, Freq S sets the frequency of the low shelf filter and Sustain determines the amount of cut or boost. 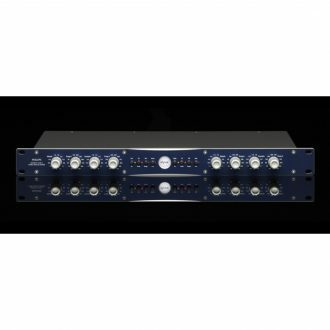 The special architecture also allows for another nice feature which is kind of hard to find on other EQs: Not only can the two channels be used as two separate equalizers at the same time, but they can be linked for processing stereo material conveniently as well. When Stereo Link mode is not active, the two individual channels can be used as completely different processors at the same time. The nvelope really gets the best out of its two separate channels. It can be two channels of Full Range or Dual Band impulse shaper or shelving EQ, which can be operated stereo linked or dual mono. But, the two separate channels can also be used for different tasks at the same time. For example, you can shape one signal in Dual Band mode in channel L and a completely different signal in Full Range mode in channel R.
Or, you can connect the output of channel L to the input of channel R, and then process the frequency response of one single signal with the EQ first, followed by some nice Dual Band impulse shaping. 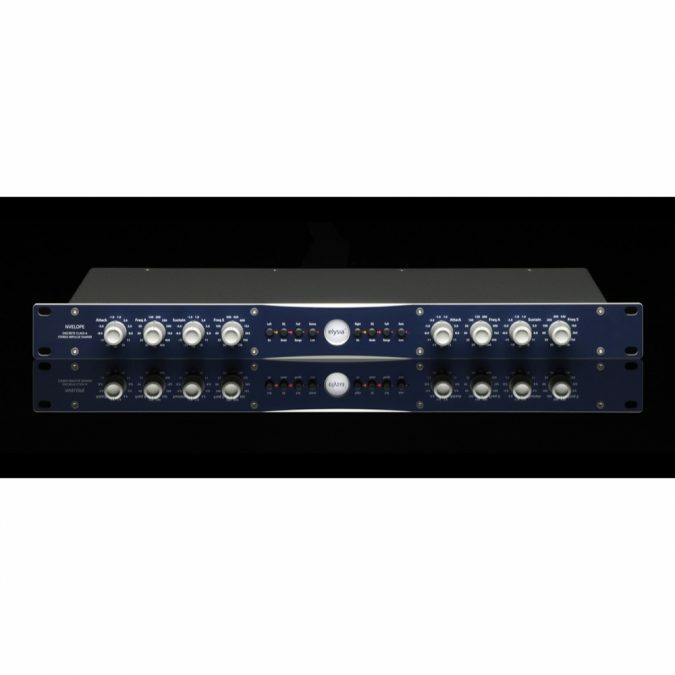 For ultimate flexibility, the nvelope offers true dual mono and linked stereo operation as well – no matter if you are using it in Full Range, Dual Band or EQ mode. The header says it all, but you might want to have a look at the possible channel combinations resulting from this. Ultimate flexibility! Should distortion or huge jumps in level occur as an unwanted side effect of the attack processing, the Auto Gain function will compensate and get the level right. Boosting the attack in Full Range mode can sometimes result in some pretty huge level peaks. These can make your processed signal sound uneven, and in the worst case they will create the nasty kind of distortion you don’t want. The nvelope solves this very conveniently with the Auto Gain function. This simple button makes the impulse shaper automatically compensate stronger level peaks, so this can be the solution for many level-related issues caused by the attack processing. By the way, Auto Gain is typically not needed in Dual Band operation and therefore not offered in this mode. Also, Auto Gain does not have any influence on a channel operating in EQ mode. The frequency potentiometers have 41 steps for an easy recall, while the gain pots have a center detent for finding their neutral position at once. 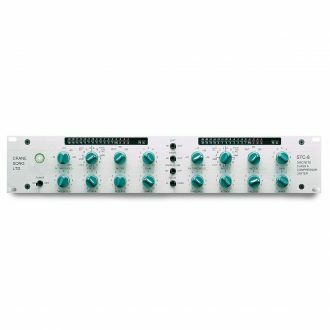 2-Channel Standard Edition Discrete Class-A Compressor / Peak Limiter with Enhancement Circuit and Transformerless, Balanced I/O. 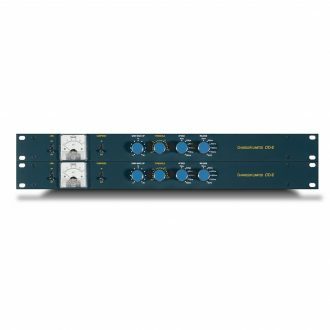 Single Channel Discrete Class-A Compressor / Limiter.